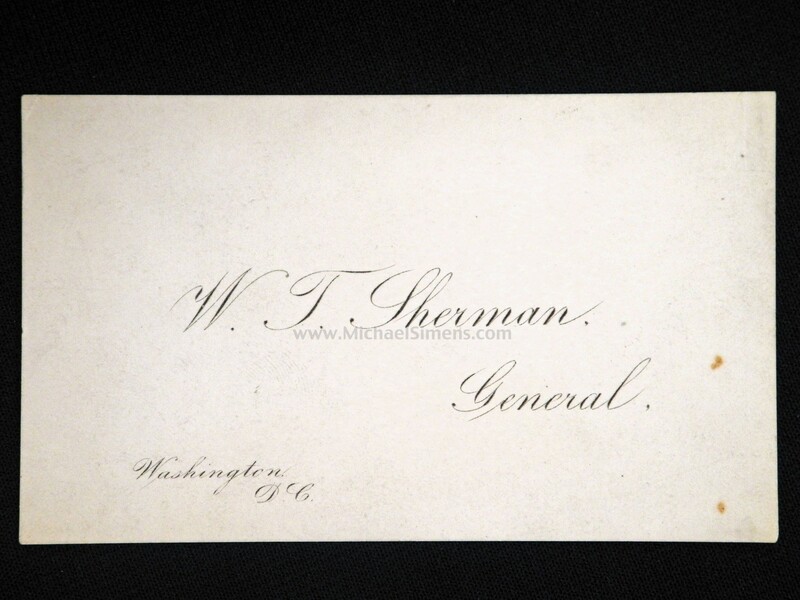 This is a business card of General William Tecumseh Sherman as acting General of the United States when stationed in Washington D. C. after the Civil War. 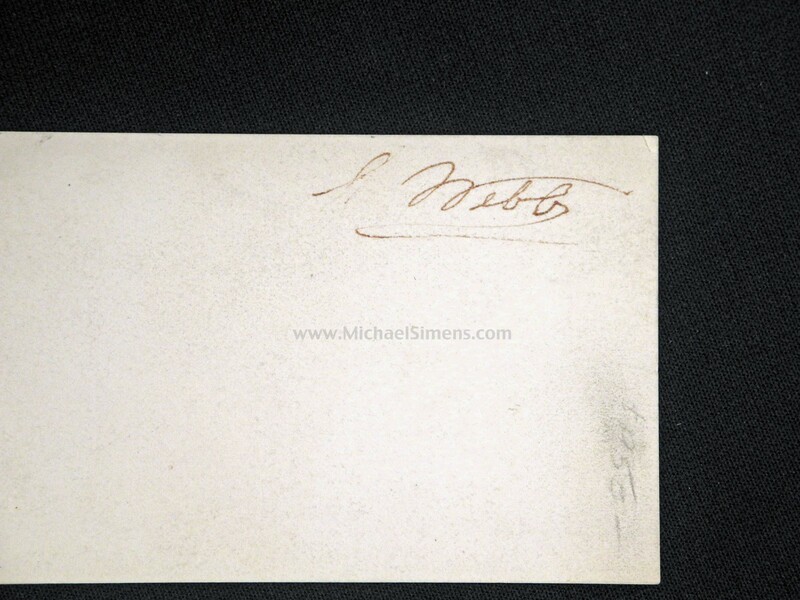 In good condition, it appears to have a partial signature of Major General Alexander S. Webb on the reverse. This card came from the Virgil Mylin collection who acquired many original Webb artifacts over the 1980's and 90's to include all his Presidential signed Commissions, Inscribed Meade Medal and Inscribed Martingale. In good condition.